Alaska’s Seward Peninsula is covered with rivers, creeks, lakes and sloughs. We wade fish down stream in crystal clear mountain water with beautiful rocky bottoms which turn to sand as they near the Bering Sea. Water temperatures range from 35-50 degrees Fahrenheit. Some of our rivers are located in mountainous terrain, with peaks rising to over 4700 feet. Others are on low lying tundra plains, and we’ll even fish right off the beach! The rivers of the Seward Peninsula drain the creeks of higher terrain, which swell in spring from snow melt and during the summer from long periods of drizzle and rain. 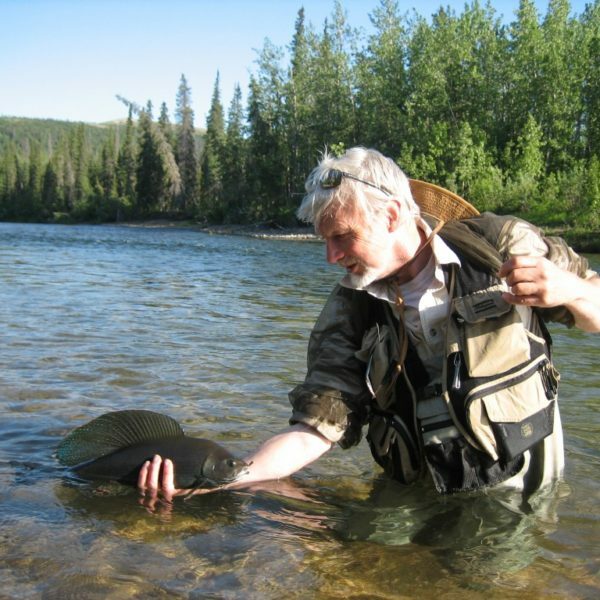 We’ll be searching primarily for large Arctic Grayling which live year round in the rivers, and Char and Salmon returning home, fresh in from the ocean. 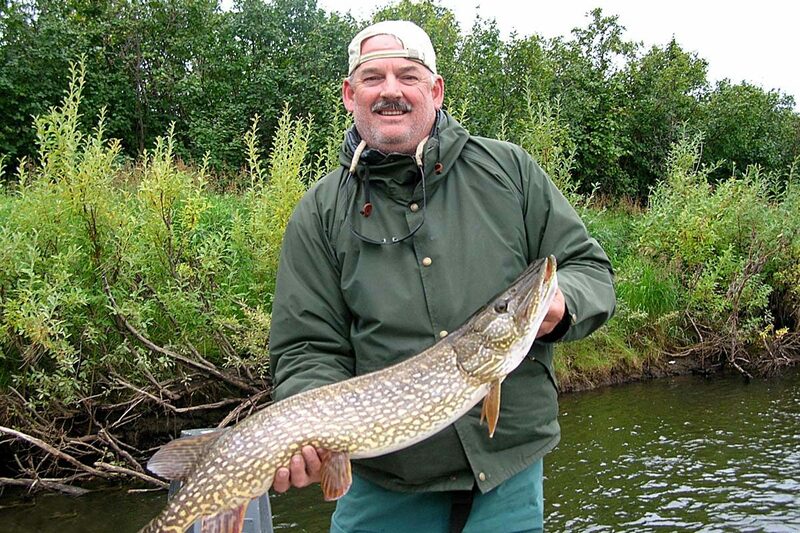 Large areas of Northern Pike territory exists in sloughs and lakes a short flight from our cabin. 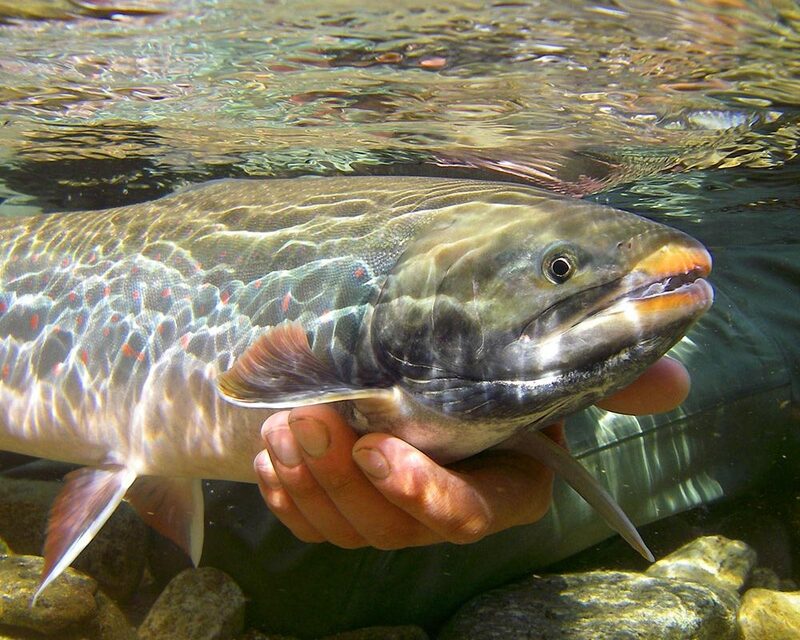 Additionally present are Pink and Chum Salmon early in the summer. This trip stands apart from the many locations I have fished. It’s fascinating country, full of history, with great company, excellent service, and the most amazing grayling fishing I have ever experienced.